There is Eternal Life for Animals is a book that should stand up to the closest scrutiny by the most conservative Christians. 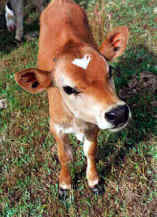 The Bible does teach us that there is eternal life for animals. Niki Behrikis Shanahan does an exceptional job of pointing out this truth from the pages of Scripture. This book is written in such a way that it is easy to follow and understand by anyone, whether or not one has had any formal Biblical training. Like most people who have lost a beloved companion animal, the author sought the Biblical assurance that her beloved "son" Pete would be in heaven. Her quest led to the publication of this book. We have many people writing to us about their mourning the loss of their companion animals, all of whom have been as sons and daughters to them. 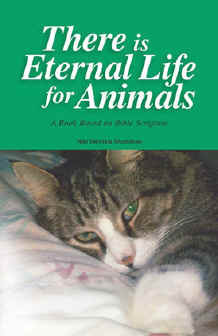 This book will provide comfort and assurance to them that There is Eternal Life for Animals. Found in the introduction of this outstanding book are the following author’s statements and Bible quotations that should be emphasized in all Bible studies. Ignoring these truths has led to much ignorance and suffering. For the foolishness of God is wiser than man’s wisdom, and the weakness of God is stronger than man’s strength. Brothers, think of what you were when you were called. Not many of you were wise by human standards; not many were influential; not many were of noble birth. But God chose the foolish things of the world to shame the strong. He chose the lowly things of this world and the despised things – and the things that are not – to nullify the things that are, so that no one may boast before Him. Furthermore, the author of this excellent book goes back to the original Hebrew and Greek to find the precise meaning of words that many people assume refer only to humans, when in fact, they plainly include all the earth’s inhabitants. It is amazing how many scriptures plainly proclaim the truth about the whole of creation. 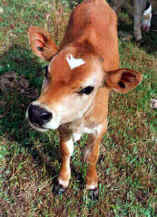 Over a hundred scriptures (not only the two or three witnesses necessary for confirmation of a question or statement, as we are taught in the Bible) show that God has a plan for the animals. We enthusiastically recommend this book to everyone!